Our founder Earle M. Jorgensen pictured holding his popular white hat with the Los Angeles/Lynwood crew during the forties. Jorgensen Steel and Aluminum was founded in 1921 and quickly became a highly-regarded name in the U.S. metal-working industry. Jorgensen grew to stock one of the country’s largest inventories of bar, sheet, plate and structural steel and aluminum. In 1990, Jorgensen merged with Kilsby-Roberts, the largest distributor of specialty bar and tubing in the country. On April 3, 2006, EMJ became a wholly owned subsidiary of Reliance Steel & Aluminum Co.
Today EMJ combines leading edge technology, a vast inventory of 50,000 items stocked and processed nationwide in warehouses connected on one network, to provide our unique “On Time, Or Free” delivery guarantee. 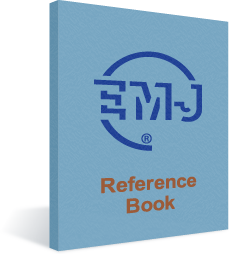 With complete knowledge and expertise in all aspects of metal supply and distribution, EMJ truly is Making a Material Difference®. We are a metals distribution company, serving many industries and carrying a wide range of products across the country. Our inventory, our locations, our people, our promise, our quality, and our service equals ADVANTAGE EMJ! Choosing the right people for the job positions us for success. Meet our Management team! With locations across the US, in Canada, and Malaysia, we can deliver!